How is our community progressing if you are supported, but I am struggling?! I attended Acton-Boxborough high school, and I noticed that there were programs available for students with different forms of disabilities, including learning disability. There was also an ELL class, to help students struggling with English. I noticed the students were given resources to support them in school. The school strived to include all the students. When there were school dance events, all students could participate or talent shows. To feel included in a community, all members within the communities should have support. There are students who may feel that they need more support in certain areas, that other students may not need. Therefore, communities need to endeavor to fund programs such as educational programs for students. The programs should not be just in schools, but also within the communities. There are after-school programs such as Girls Inc, and the Boys & Girls Club. These are non-profit program. Most of the children are not from wealthy families, and so, it is affordable for them to attend these programs. This solidifies the belief that, communities need to be mindful of everyone within the communities including children. The need for programs such as Girls Inc is created to be accessible to all children. These programs support students who need extra support in their academics, as well as provide them with the skills and knowledge to achieve professional and personal goals. 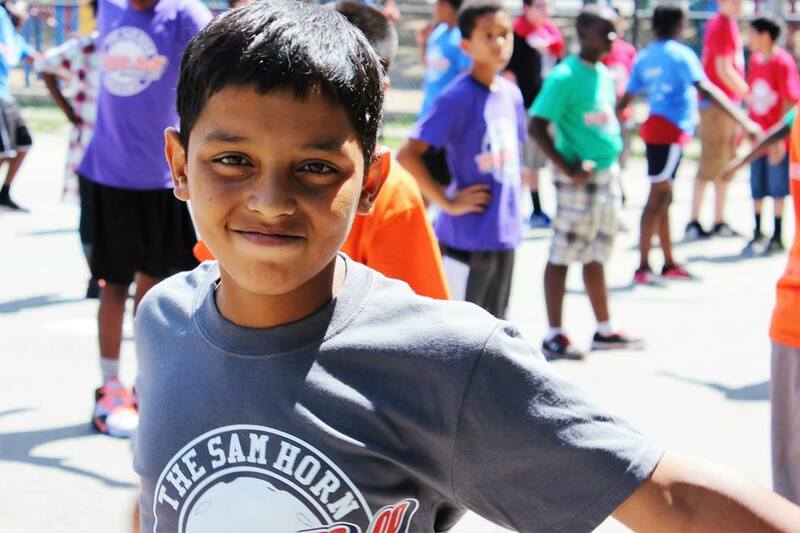 Programs like Girls Inc and Boys & Girls club encourage cultural integration, and diversity. They teach children about collaboration, leadership skills, healthy lifestyle etc. When children are granted the opportunities to succeed in school, they feel a sense of inclusion in the community. This would encourage them to apply the skills and knowledge they have learned to excel in the communities as well. Children grow up to become teachers, doctors, lawyers, nurses, artists, activists etc. I intern at Girls Inc, and I have learned that the girls in the program are empowered and taught to achieve their aspirations. They are informed on ways to achieve their life goals, and taught to be socially aware of social justice and injustices. This teaches them what it means for them to be a part of community, and being in a program that supports them proves that they matter in the community. They would be able to contribute to the community to be involve in the communities in the future. This indicates that for communities to thrive, children from diverse groups and socioeconomic backgrounds should be given the resources to excel. Children are part of the community, which means that they need to feel a sense of belonging in the community. There is no equality, if children and their needs are disregarded. This is especially true for students from different socioeconomic backgrounds, diversity and with disabilities. They need to feel involved and mattered in the community. To provide programs such as Girls Inc, Boys & Girls club, and even school programs, funding needs to be available to support them. Learning grants were also in education that provided, computer classes, language classes, tutoring and self-esteem workshops for people in the community (Foster-Fisherman et al, 2006). Without the funds, members of the community such as the students would not be able to succeed, and socially included within the community. The Frederick Assad Abisi Adult Education center is designed for adults who want to achieve their education. The availability of this program shows that there are members of a community that aspire to further their education. The funding for the Lowell Adult Education program provides them with the support to attend school. The center supports them in taking the GED exam. Members of a community need funding for programs that would support them. 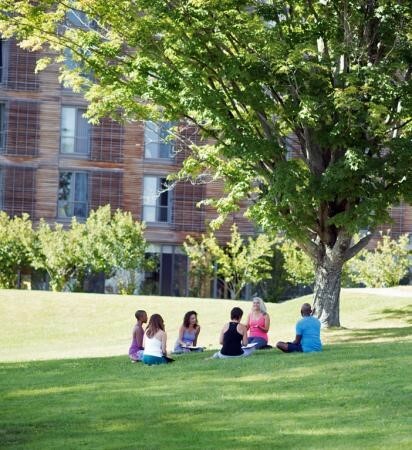 Taking a deep breath, I walked through the halls of Kripalu yoga retreat center. I would be leaving tomorrow, I knew, so I wanted to bask in the bliss of this no-stress retreat as much as possible. My plan was to bring this peace with me and live like this for the rest of my life. As you may have already predicted, it didn’t happen. While we would do well to accept we cannot change other people or much of our surroundings, community psychology points to some solutions – as well as an explanation for why that sense of peace doesn’t last after experiencing a peaceful environment. It is no secret that we are influenced by our environments. Social contexts change people’s behaviors and basic aspects of a person, particularly group norms. You may have also heard the famous quote by Gandhi, “Be the change you wish to see in the world.” Just as your social groups influence you, you also have an influence on that social group (Moos, 2003). So, the peaceful parent can be a positive influence in a hectic home without having to change anybody directly. Three characteristics of social contexts community psychologists have noted for being particularly powerful are the directions of personal growth, the quality of relationships, and the level of clarity, structure, and openness to change (Moos, 2003). Try balancing these three aspects in the main environments in your life in a positive way as best you can. Having positive and consistent relationships, being clear and flexible, and intentionally promote independence and self-discovery for yourself and those around you will make your social environments very powerful. These characteristics are especially important for parents interested in the well-being of their children, as family life typically has a long-term effect on people (Moos, 2003). Research has shown that mutual help groups which provide long-lasting relationships, goal direction, and structure often produce powerful results, with or without intervention (Moos, 2003). My yoga teacher and I both felt stressed coming home because the retreat could be compared to an intervention, which lacked the capacity to become an integral part of our lives. When we leave a setting, no matter how powerful, the effect lessens over time – for better or for worse (Moos, 2003). That’s why it’s important to have long-term relationships with peaceful and happy people if we want those qualities for ourselves. Through a process called the Transcending Process, we can create an entirely new social context. To be happy and peaceful takes putting in the effort to offset the stressful lifestyle around us with alternative environments that mirror our goals (Moos, 2003). Maybe we can directly work with our families to make home more peaceful, or create a group with like-minded people to work towards our happiness goals. Finally, we need to be accountable to ourselves for the stressors in our lives, which can have a cumulative effect and make it difficult to be truly happy. According to the LISRES Adult Form (Life Stressors and Social Resources Subscales), stressors include physical health, the physical conditions of our home and neighborhood, financial problems, negative events, our work environment, issues with our friends, romantic partner, our children, and extended family can all bring us down (Moos, 2003). To be happy, then, we should be sure to care for our physical health to prevent injury and sickness, make the special effort to make our home feel attractive and comfortable, get our finances in order as best we can, make and embrace positive events in our lives, and maximize positivity in our interpersonal relationships. Life is not a fairy tale and there is no need to put our happiness up to chance. This blog is meant to detail what research demonstrates we can do to alleviate our stress and build happiness. In doing so, the world truly becomes a better place. Life is difficult and stressful enough as it is, and this research shows us that there are tangible ways to prevail. Social contexts are interconnected, and it within our power to make our mark. In the interest of creating a more peaceful and happy world, we can make the choice to stop being part of the problem, and finally become part of the solution – no yoga retreat center required. It is loaded with cheese and lots of bacon! Get a combo with a large coca cola and large fries! Whenever I watch TV, there is always a commercial by McDonalds, Burger King, Wendy’s, etc. The advertisements are designed to appeal to the people to purchase from either one of these fast food restaurants. I personally, have had moments when I had craved Burger King fries. I would eat it, and be consumed with guilt afterwards, since I strive to eat healthy. Community social psychology concentrates on the progress and wellness of a community. A community that concentrates on its members’ wellbeing enables the community to thrive, collectively. The progress of a community essentially depends on the values within the community. Every member of the community can promote their personal wellness. The fast food restaurants earn billions of dollars each year. The owners of the restaurants are wealthy individuals whose personal growth can arguably relate to gaining successful fast food restaurants, and enormous wealth. However, their personal growth, in relation to the money they earn comes at the expense of another group, in the community. There are members in the community that are unable to purchase healthy foods due to the cost, and based on their socioeconomic status. Fast food restaurants are inexpensive and easily accessible. Arguably, impoverished members within a community are likely to purchase fast food due to the inexpensive cost. Purchasing fresh and healthy food can be expensive that members of an impoverished communities are not able to purchase. The influence on an individual within a group also impacts the whole group. Personal, collective and relational wellness are endorsed by values such as health, self-determination, personal growth, etc. (Prilleltensky, 2001). He asserts that these values not only profit the individual but all members of the community, proving that individual wellness impacts the community wellness. The fast food restaurants in the U.S and in other countries as well, have become a billion-dollar food industry. Per data of food chain revenues in 2014, McDonalds gained $35.4 billion, Starbucks with $12.7 billion, Subway with $11.9 billion and Burger King with $8.6 billion (Roach & Schlossberg, 2015). A community that business owners of fast food restaurants benefit high sums of revenue, does not consider the health needs of members within the community of lower income. 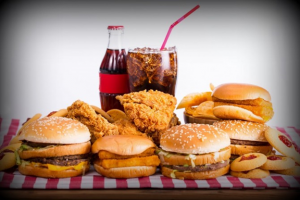 Fast food might contain unhealthy ingredients that can lead to diseases such as diabetes, heart diseases and cancer. Many children suffer from obesity due to the fast food they are fed, like burgers. The values relating to the personal and collective wellness of a community resonates with this issue. The personal wellness connects to the community collective wellness. If fast food companies continue to thrive selling unhealthy foods, then the health of members within the community diminishes, as diseases spread and people lose their lives. People of lower socioeconomic status, when faced with diseases, struggle to handle medical cost, and possibly lead to their deaths within the community. Due to the billion-dollar revenues, the likelihood of fast food restaurants closing may not be feasible. People dying within the community would impact the business, decreasing revenues. The community would not be a healthy community. The wealth of the individuals that own the restaurants could afford healthy and nutritious meals, and flourish in wealth, but at the expense of the health of lower income members within the community. This evidently proves that individual cannot achieve wellness without the community wellness as well. People of higher socioeconomic status, need to comprehend that the health of all members in the community need to be prioritized. Prilleltensky. I. (2001). Value-Based Praxis in Community Psychology: Moving Toward Social Justice and Social Action, 29, 747-778.